Light & Darkness Radio: Featured Today! "Anathema, Adastreia..."
Well yesterday I wasn't able to post the featured bands for some blogger problems but today L&D is ready to rock! Here's todays Featured Bands! Anathema (UK) - Anathema are an English band from Liverpool primarily known for helping to develop the death/doom and gothic metal sound. Later in their career, beginning withEternity, they moved away from this sound into more melodic, atmospheric rock. Anathema formed in 1990 as a doom metal band, initially under the name 'Pagan Angel'. In November of that year, the band recorded their first demo, entitled An Iliad of Woes. This demo caught the attention of several bands from the English metal scene, allowing Anathema to play gigs with bands like Bolt Thrower and Paradise Lost. At the beginning of 1991, the band adopted its current name, and gained a lot of attention with the release of their second demo entitled All Faith Is Lost, resulting in a four-album deal with Peaceville Records. Their first release under the label was The Crestfallen EP in November 1992. They took the material from that album on the road, touring with Cannibal Corpse. 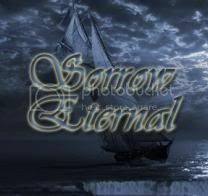 Serenades, Anathema's debut LP, attracted a lot of mainstream attention, propelling their "Sweet Tears" music video onto the MTV playlist. Anathema's first European tour was in 1994, and was closely followed by gigs at the Independent Rock Festival in Brazil. In May 1995, vocalist Darren White parted with the band, eventually forming The Blood Divine. Rather than recruiting a new vocalist, the band decided that guitaristVincent Cavanagh should assume White's role. This new formation debuted by touring with Cathedral in the United Kingdom. The release of Eternity came in 1996, relying more on atmospheric sounds, and starting the transition to clean vocals; the album Judgement would later consolidate this style. A European tour followed the album's release. The second member to leave the band was drummer John Douglas, who departed in the summer of 1997. He was replaced by Shaun Taylor-Steels, formerly of Solstice, who would also later play drums for My Dying Bride. Alternative 4 was released in 1998. During this time the band underwent many line-up changes. Bassist/songwriter Duncan Patterson quit due to musical differences and was replaced by Dave Pybus of Dreambreed, where Duncan had played bass for a short period. Martin Powell (who had played keyboards and violin for My Dying Bride previously) also joined the band. Finally, John Douglas returned to the drums. In June 1999, the album Judgement was released, marking Anathema's complete shift from the doom metal genre, focusing instead on slower and more experimental songs. This new sound has been likened to artists such as Pink Floyd, Jeff Buckley, and to a lesser extent, Radiohead. However, the essence of the band remained the same. Their songs continued to express a feeling of depression and, more often than not, desperation. During the same year Martin Powell switched positions with Cradle of Filth's keyboardist Les Smith, who came to be an integral member of Anathema. Shortly before the release of A Fine Day to Exit, Dave Pybus announced his departure from the band and later joined Cradle of Filth. He was replaced by touring bassist George Roberts, and later by Jamie Cavanagh. In March 2002, Daniel Cavanagh announced his departure from the band, joining Duncan Patterson's band Antimatter. However, he later rejoined Anathema in 2003 for the release of A Natural Disaster, and started their European Tour. This accelerated the changes in Anathema's tone, towards the atmospheric and progressive, as exhibited in album tracks 'Flying' and 'Violence'. Upon the closing of their label Music for Nations after its purchase by Sony BMG, Anathema found itself without a record label, despite having completed an extensive tour of the UK with popular Finnish rock band HIM in April 2006. During their search for a new label, the band have adopted a more 'DIY' approach to music release, embracing the internet and releasing songs via their own website, for which fans may donate a monetary sum of their own choice. Despite the obvious lack of label-based tour support, the band continues to play dates across Europe, guitarist Danny Cavanagh also playing the odd low-key acoustic concert. The band's newest album was originally to be titled Everything. Its release date was been pushed back several times, sparking much controversy and speculation amongst fans. In August 2007, Danny Cavanaghresponded by posting a blog to the bands MySpace page, announcing that the new material would be played on a full European tour prior to it being recorded, and that the new album, now tentatively titled Paradigm Shift, would consist of perhaps fourteen songs broken up over two discs. During a concert in London he said that Steven Wilson of Porcupine Tree would produce the new album. In May it was announced that recording for the new album, undergoing yet another name change to be titled Horizons, was well under way. They played alongside Paradise Lost and My Dying Bride on 19 September 2008 at London Forum, and did a headline tour at various venues around the UK starting in Manchester on 4 November 2008 and going on to play the Islington Academy, London on 7 November. On 20 March 2010 Anathema announced on their website and Facebook page the release date of their next album. Their album, We're Here Because We're Here was released on May 31, 2010 on the Kscope label. Seventh Avenue (DE) - Seventh Avenue is a Christian heavy metal band from Wolfsburg, Germany, formed in 1989. Consisting of guitarist/vocalist Herbie Langhans, guitarist Florian Gottsleben, bassist Markus Beck, and drummer Mike Pflüger, Seventh Avenue plays a hybrid style of speed and power metal with the focus on melodies. The band launched a demo entitled First Strike in 1993 but the loss of their guitarist delayed their first album, Rainbowland, until 1995. They then signed with Treasure Hunt Records. Their first release on this label, Tales of Tales, topped at 18 on the Japanese heavy metal charts. The 1998 release, Southgate, was licensed to Megahard Records for release in Brazil, where the band subsequently toured. They have released 7 albums and an EP. They released two albums, Between The Worlds and Eternals, on Massacre Records, and released their seventh album titled Terium on that label in 2008. In 1989 a few teenagers, inspired by heavy metal bands, began to make music themselves. A CD was released on a small label. Two years later the singer left the band and, then only seventeen, then guitarist Herbie Langhans took the place as a singer. Because of the change in the band, they began to think about a new name. "Seventh Avenue" was chosen in a mutual agreement. In 1993 they released their first demo First Strike. The demo was far more successful than expected. Therefore, a number of live concerts followed. A year later they were planning their new album Rainbowland. However, because of inner problems in the band, the release was delayed. The second guitarist suddenly left the band. Therefore, Herbie started to also play guitar. After a few months the album was nonetheless released, again with a great success. 1996, the band signed a contract for two albums with Treasure Hunt Records. Immediately they started with the recording on their next album Tales of Tales. With this album, they reached the 18th position at the Japanese heavy metal charts. In 1997 the drummer Louis Schock left the band. Mike Pflüger took his place. Andi Gutjahr was hired as a guest musician for the albumSouthgate which was published in 1998. In 1999 William Hieb also left the band. So Herbie and Mike stood alone. But a short time later they found another bassist and someone for the second guitar, namely Geronimo Stade and Florian Gottsleben. After a short time, the recording was followed by several concerts. As in Brazil, the band achieved remarkable popularity which bought the label Mega Hard Records the licensing rights for South America on the albums so that they are the albums directly available in Brazil. At the end of 2001, Seventh Avenue began the recordings for the album Between the Worlds. In September 2002 the band broke into a tour to Brazil where they played so-called "WMetal Concerts," and was organized by Mega Hard Records. Back in Germany Seventh Avenue signed a contract with the label Massacre Records, and in 2003 the album Between the Worlds and in 2004 its follow-up Eternals were published. The bassist Geronimo left the band and Markus Beck took his place. The album "Terium", their first concept album, was released on March 28, 2008 on Massacre Records and emphasizes the groups penchant for catchy choruses and memorable melodies while delivering an even heavier sound than previous releases. Seventh Avenue's music emphasizes on classic heavy metal styles, playing a hybrid of speed and power metal. Their music typically consists of fast double bass drums, melodic and epic lead guitar melodies and double guitar harmonies, and rousing, catchy vocals. Their music seldom contains keyboards currently, the instrument was more apparent in their past works. Their music can be considered christian metal, as it often draws its themes from the Bible.Herbie Langhans and Andi Gutjahr, along with other members, produced a tribute album in 1998 entitled A Tribute to the Past under the name Treasure Seeker. The album highlighted the bands' influences including Bloodgood, Stryper, and Bride. As of 2010, Herbie Langhans was included in the project Sinbreed with members of Blind Guardian, Redkey, and Ayreon. Opera Magna (SPA) - Opera Magna is a group that practices a Symphonic Power Metal, in the vein of bands like Rhapsody or the first Avalanch, which had joined other influences when composingnew material, such as progressive touches, sounds typical of classical romanticism, or the characteristic sound of Danny Elfman's compositions, which has acquired a more complex and darker sound to the group. Opera Magna formed in Valencia in 1997 by guitarists Javier Enrique Mompó andNull, who in 2000 began writing songs for their first album, alongside musiciansseeking adequate to complete the group. In 2001 recorded a demo that would be distributed only through its website, whichalready included 3 tracks of what would become their first album, "The LastGentleman", with training now complete, in which Paul was Solano (Now in Dragonfly)on vocals. In 2004 there was a change of vocalist, entering Jose Broseta, who eventually would record the voices of "The Last Knight, " which would go on sale in 2006. The albumreceived great reviews in prestigious media such as Kerrang, Heavy Rock, HardRock, Rock Estatal, rafabasa.com, etc, and playing on tour with presentation of thefamous bands like Avalon, Stratovarius, Tierra Santa, Saratoga , Uzzuhaia, Tankard,Sodom, House Of Shakira, Jorge Salan, Hamlet, Koma ... During this tour, completedthe current line-up, and to Adrian Romero on drums and Rubén Casas on keyboards. Currently, the group has finished recording their second album, entitled "Poe" anddiscusses some works of the writer, and some aspects of his life. In this album, just released a single as an advance, which includes two songs by Poe, both in Castilianand English, and a version of the well known Torquemada "Avalanch, again, in a self-produced. (An Amazing Exponent of Power Metal/Symphonic from Spain their music is similar to Dark Moor 100% Recommended! ).